Setting up a booth at an expo or corporate trade show can do wonders for your brand, but only if you do it right. These four trade show booth ideas are all centered around one thing that your visitors will find irresistible: a photo booth! On the trade show floor, everyone is bringing their A-game. You can’t skate by with a few free stress balls and say you made an impact. You need an eye-catching display, swag that no one can pass up, and an activity that will bring in tons of foot traffic. A photo booth does all this and more! 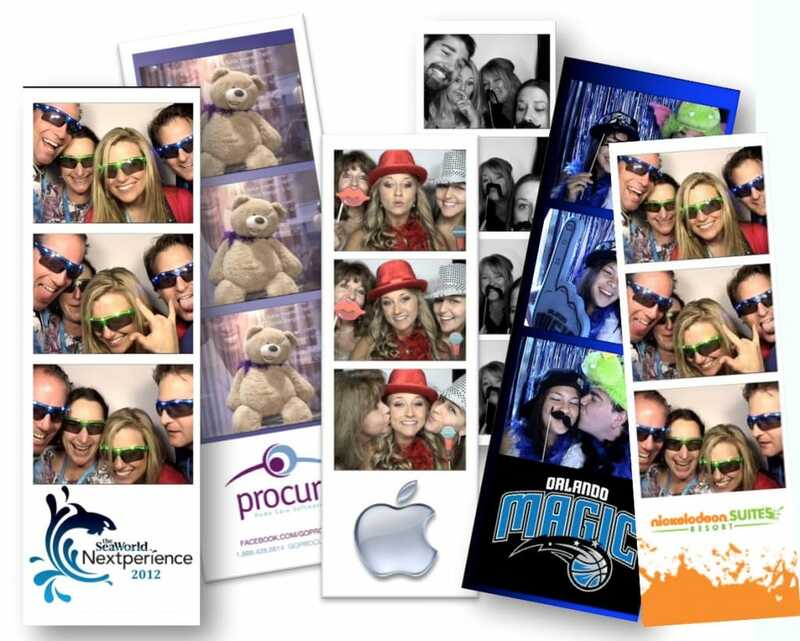 Read on to see how a photo booth can ROCK your next corporate trade show. We see it at every event we go to: people LOVE photo booths! Whether it’s wedding guests, employees at a company event, or excited booth visitors at a wedding show, everyone loves grabbing a silly prop, striking a cute pose, and walking away with a fun photo strip. When your trade show display has a photo booth, you’ll see far more foot traffic than you ever have before. And we all know that more traffic = more customers. Cha-ching! The way we see it, a photo booth is a great conversation starter! Now that you have their attention for the 2-3 minutes it takes to decide on a pose and take a photo, you’ll be able to explain your product, service, or brand and know that they’re interested. After all, everyone wants to know the company that was cool enough to rent a photo booth! The most visited trade show exhibits are usually the ones with the best displays. You know the saying, “You eat with your eyes first?” Think of your trade show booth like a plate at a fancy restaurant…you gotta make it look nice! When you go with a photo booth from Photo Booth Rocks, your trade show booth display will come alive. We have a warehouse full of booth styles to go with any decor. Want a faux wood veneer? We got it! Want a silver glitter backdrop for full glamour? We got it! Want to brand your entire display with your corporate logo? Go for it! We can wrap most of our photo booths with your custom graphics to create an eye-catching display. We can even print a custom backdrop for you with your corporate logo. We also provide you with props related to your product, service, or industry. Our White Elite photo booth even has an external monitor that can display anything you want: slideshow, promo video, or just your corporate logo. For a truly “tech-savvy” option, go with our mirror photo booth (people can’t keep their hands off it!). We guarantee you that no one else will have anything like it at their booth. 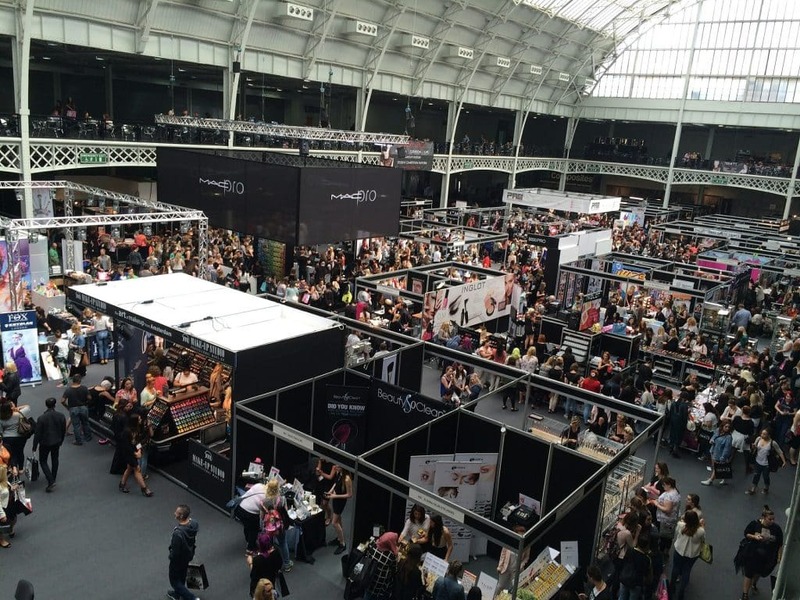 If your company has been around for a while, you’ll likely come across some “brand ambassadors” or satisfied clients at your next trade show. Why not use your photo booth rental to collect some advertising material? 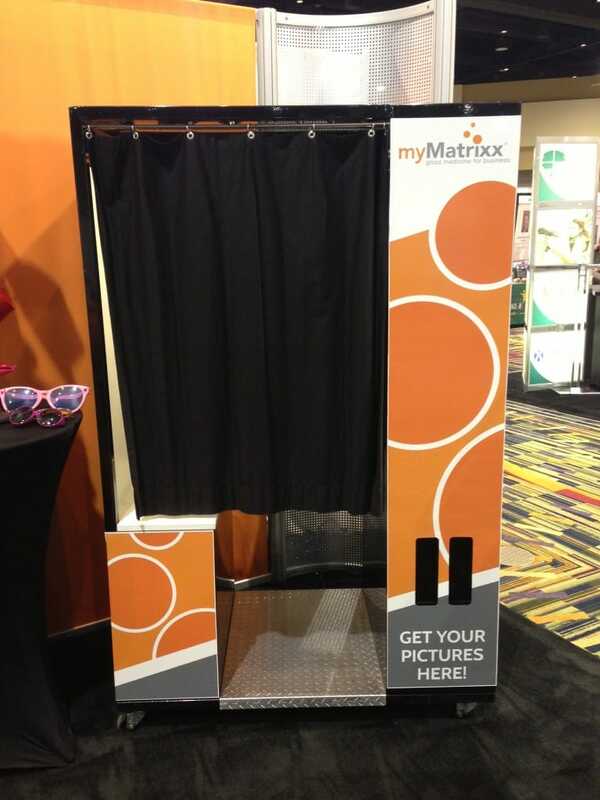 Some of our photo booths have video messaging capabilities, so your booth visitors can leave a short message talking about your brand, product, or the event itself. You can use these video testimonials in promotional videos or social media feeds (just get their permission first). Stress balls and mugs are great, but do people really get excited about them? Sorry, but no. Instead, photo strips are a giveaway that your booth visitors will stand in line for. Photo strips are like dollar bills…they’re impossible to throw away! Customize them with your company logo and/or contact info so your guests will always know who to thank for a great time (and they’ll always have your business name stuck to their fridge!). The downside to all those branded marketing materials (aside from the fact that no one really wants them)? You never know exactly how many to order. Don’t risk running out of swag at a big marketing event. Our photo booth rentals offer unlimited print-outs! Unlimited freebies that your visitors will keep forever? You can’t get a better deal than that! A trade show or corporate expo is a great way to get the word out about your brand and gain some more customers. But since you’re spending all that time and effort to go set up your booth, make sure you really stand out so your visitors walk away with a great impression. A photo booth at your trade show will keep customers coming, keep them happy, and keep you at the forefront of their minds. Contact us today for info on availability, pricing, and how to upgrade your rental.